Ausrack IP is a range of 19 inch weatherproof enclosures suitable for applications where the installed equipment is required to be protected from dust or water. At B&R, we are justifiably proud of our products, and we strive to ensure that you have what you need, when you need them. We have a network of offices and distributors throughout New Zealand, Australia and internationally. Wherever you are, you will be able to buy B&amp;R products nearby. Our range of standardised designs suits every application, ensuring repeatability and short leadtime. 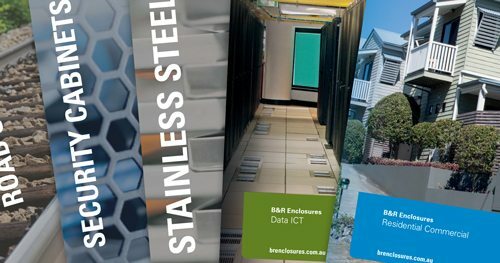 With extensive knowledge gained over years within the industry, B&R supply into the industrial, mining, oil and gas, energy, hazardous location and infrastructure market sectors in New Zealand.